We have been servicing the automotive industry for over 85 years and can recommend products and services designed specifically for your facility, no matter what size your operation is. 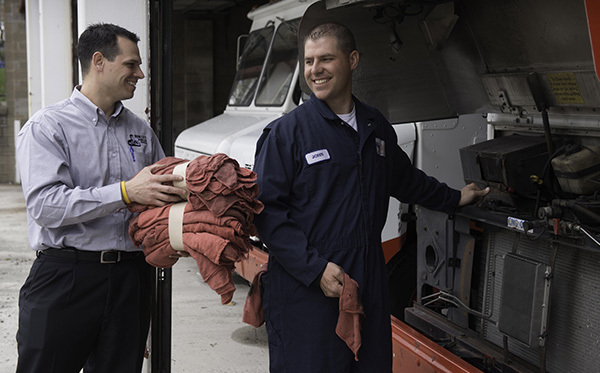 Choose a custom uniform and facility services program for your automotive company that is designed to enhance the image, safety, and cleanliness of your operation – while significantly reducing your costs. Your employees will feel comfortable and professional, and your customers will want to return over and over again. Contact us today to receive a free quote and consultation for you company! Our experienced service reps regularly deliver clean product, examine your dispensers, manage your inventory, and ensure quality products are on-hand for your customers and employees at all times.